8 x 10 in. ; 20.3 x 25.4 cm. 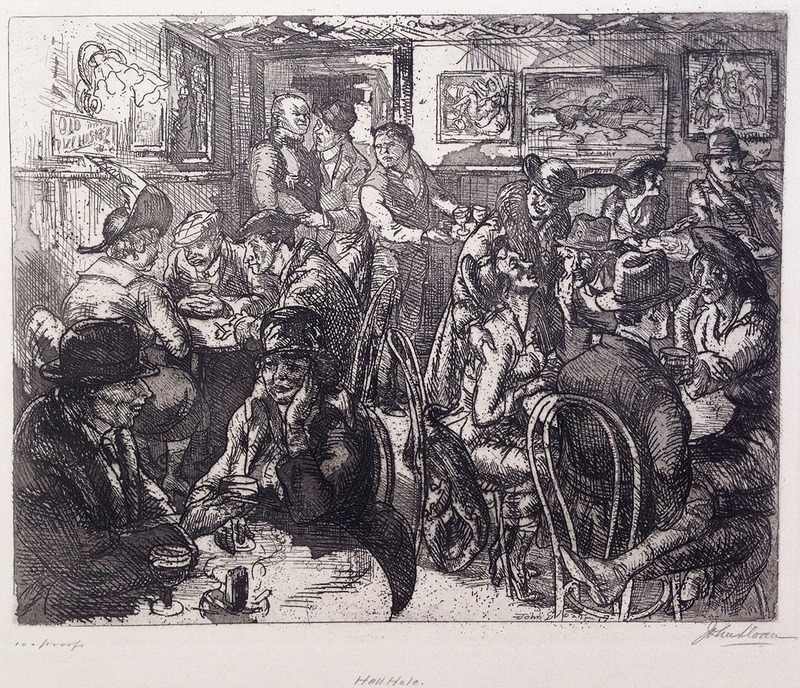 This represents the back room of Wallace’s, a bar popular with the actors & artists of Greenwich Village, at Sixth Avenue and West 4th Street.